Searching for a trusted doctor weight loss solution for your unwanted or stubborn belly fat? Dr. Urshan’s transformative weight loss system can help you achieve major results in just 40 days*. If you’ve tried other doctors weight loss clinic programs with zero long-term results, you may feel defeated or hopeless. Luckily, you can enjoy the guaranteed benefits of fast, healthy weight-loss and weight management with Dr. Urshan’s proprietary weight loss system*. Other benefits of weight loss and wellness management include improved self-confidence, overall mood, and social life. 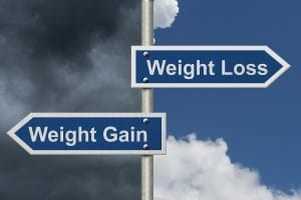 On average, people who lose weight also tend to reduce or eliminate medication usage. No matter what your motivation may be to prioritize your health and overall wellness, Dr. Urshan is here to help you realize your personal weight loss goal. Our unique weight loss program is unlike any other doctor weight loss clinic systems on the market. You’ll see guaranteed results with our individualized approach*. Instead of focusing on diet as the one-size-fits-all solution, we take into consideration your body’s unique fat burning preferences and challenges. Since no two bodies are the exact same, each client will have a totally personalized doctor weight loss experience at our clinic. Unlike other doctor weight loss systems that require anywhere from 20 to even 30 weeks to see any noticeable change in weight or inches, Dr. Urshan’s weight loss can show you results in just 40 days*. We’ve helped residents of St. Petersburg, Clearwater, Westchase, Palm Harbor, New Port Richey and beyond to transform their personal image and health. If you’re ready to make a big lifestyle change fast, contact us today to set up your free consultation with Dr. Urshan’s qualified staff.